Every Friday, The Happy Book Club hosts a twitter chat using the hashtag #top5friday where a group of picture book bloggers and enthusiasts share our favourite books on a particular theme or topic. 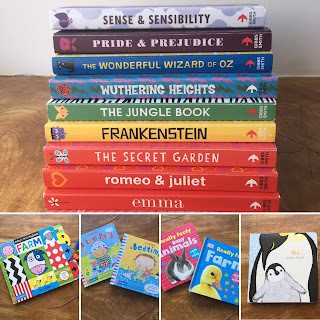 Last week, I was asked to choose a theme and I thought since I have been sharing some great baby's first books as part of our guest blogger feature, it would be nice to share some of my own favourites. Now, this is by no means an exhaustive list given I am only allowed to choose five. And I have sort of cheated by choosing some series rather than individual books but I hope you won't mind. For anyone who has followed the blog you will know that we love Emma Dodd's animal series and regularly read them at bedtime. Our board book 'Me' is now looking rather worn (but secretly I'm quite happy about that because the board version doesn't have the foil pages that the paperback does so I will happily replace it). This is a beautiful story about the love between a parent and a child. And quite honestly it's the book I wish I had written. With adorable illustrations and rhyming couplets that I can recite from memory (as can BookBairn) it's now my go-to gift for new babies. Read our review of the series here. This is a book that BookBairn returns to over and over. Made of super sturdy card with large pull tabs and a mirror at the end it's a brilliant book for little ones to explore and discover. From a young age I could leave BookBairn to play with this one by herself and enjoy a hot cup of tea. Introducing some farm animals and using a simple and bold colour palette it's great for introducing initial concepts for little ones. But quite honestly it's just a great and fun book! Read more about this one here. This is a lovely series of books with the sweetest illustrations. All based on real experiences that babies and young toddlers would be able to relate to they introduce lots and lots of key vocabulary that are likely to be amongst the first cluster of conversation that babies have. They also have lots of repetition and encourage little ones to join in too. But mostly I love the illustrations - the babies are adorable! 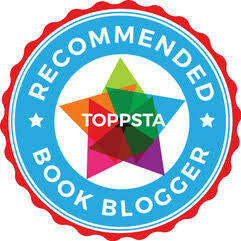 I reviewed this series of books a long time ago, just at the start of the blog. And since then our collection has grown. I just can't resist them. I love the idea of sharing classic stories in an approachable way for little readers. They are great first word primers, they have elements of stories that I know and love and the illustrations are brilliant. Just brilliant. They are colourful, cute and classic! To read the original post, and see a very cute six month old BookBairn reading them click here. The Wizard of Oz, The Jungle Book and The Secret Garden are my favourites if you are looking for ones to start with. But I'm really hoping I will manage to complete the collection! We all know that very famous series of touch and feel books that are a great way to get little ones to explore and read books. But we sometimes want something a little more substantial. And these are great because they are a good non-fiction introduction for little ones. They have simple facts and are laid out in a typical non-fiction style book using photographs rather than illustrations. But they are at an accessible level for toddlers and babies. And they have touch and feel elements thrown in to keep those little hands busy. These are certainly some of our favourites but as I say they are by no means an exhaustive list. do you have any recommendations for new baby gifts? Also if anyone is interested in writing a guest post for our feature please get in touch using the contact details at the top of the page. 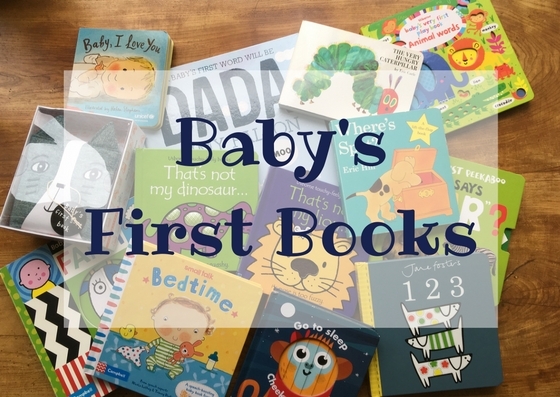 To read all the guest posts in our Baby's First Books series click here. What a great list. I also like Me by Emma Dodd and BookBairn just adores penguins. It's a lovely story. And I wonder if that's why she likes penguins so much? Nice collection - I also remember the black and white contrast books she had at first. They were a revelation as I'd not seen anything like that before - Miffy was about as simp,e as you got! They are amongst the lost toys! Fortunately some publishers have sent some more so The Wee Page Turner has his own. I really enjoyed joining in for the first time. I love your choices too. Thanks Claire! Was lovely to 'meet' you and enjoyed your choices! Thank you! So many to choose from it was hard to narrow down to five! You would love them Catherine. They are just as much for parents as for the kids! I love the idea of the Baby Lit series. To be honest, I don't know all of these stories myself, so they would be a good introduction for me too! Of this bundle I've still got Sense and Sensibility and Frankenstein to read but I know the stories. Perhaps I should read them next! The book hoarder in me wants them all! Thank you! The babylit books are brilliant! Perfect excuse to buy them for the next new baby!